Our first Labrador was a Pointing Lab. She brought us so much joy on and off the field. It is only fitting that we have come full circle and are adding Pointing Labs to our line-up here at DuckCreek. 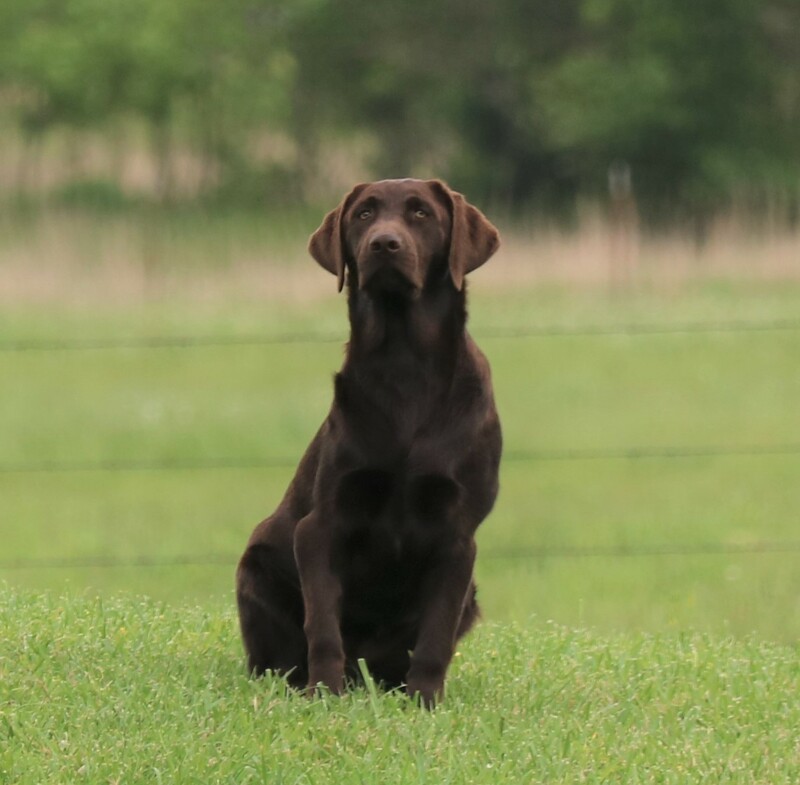 APR LOCK-DOWN LABS GREENWING GRETA of DuckCreek Greta came to us from Silver Lake Retrievers of North Dakota. This little lady had her CPR already under her belt. We made the decision to keep her with her trainer, Brice Romero of No-Limit Labs. Under Brice’s guidance, Greta earned her APR at Higginsville, MO in the fall of 2015. Check out Greta’s page. DuckCreek’s Lil Nell of the Prairie “Nell” is our first step toward blending our pointing lines with our dilute lines. She is a beautiful deep dark dilute-factored chocolate and sweet as can be. 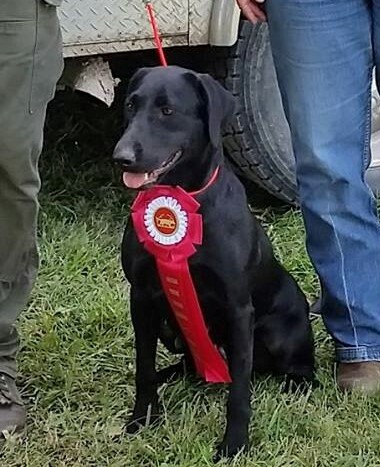 Nell’s mother is our APR GreenWing Greta of DuckCreek and Smokin’ Jack Flash of DuckCreek. Nell’s preliminary OFA of her hips is rated at “EXCELLENT”. She is clear by parentage of thirteen out of fifteen genetic tests done thru Paw Print Genetics essential & supplimental panels and has been tested clear of EIC, and a carrier of SD2 thru individual testing. Nell’s page will be up and going soon! 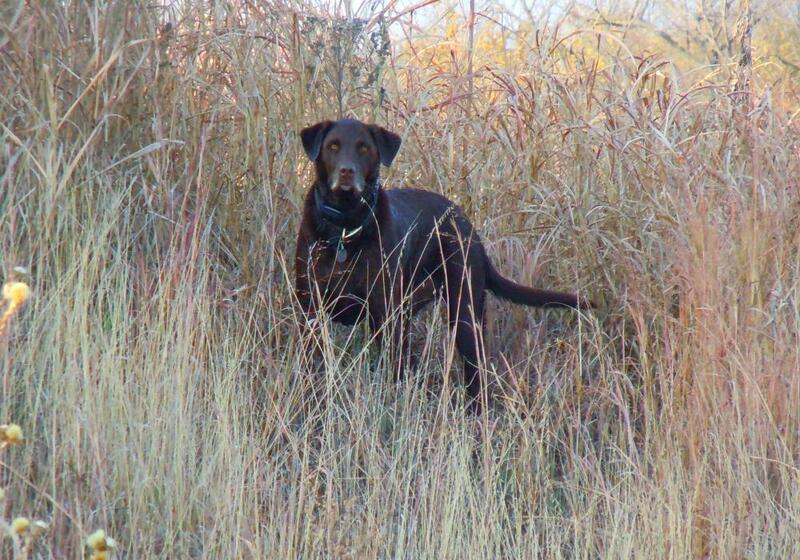 2004 – 2015 Josie posing for a quick photo during a pheasant hunt in south-central Kansas.